Box Frame Colour Choice - Click Frame Thumbnails To View Larger Image & Description. MADE TO ORDER - LEAD TIME APPROXIMATELY 2 WEEKS. All prices exclude VAT. Click thumbnails to view larger image. 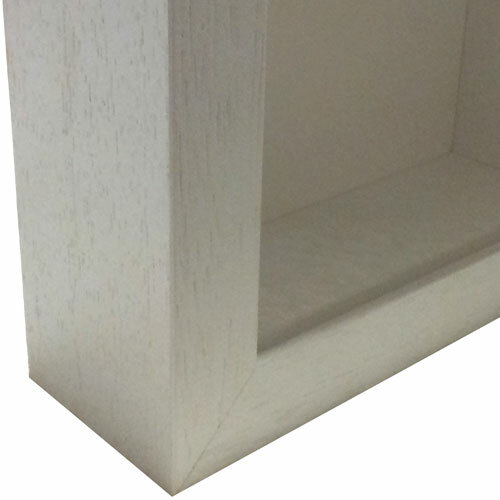 Made from obeche wood moulding. Spacer reduces mount area approx 18mm. 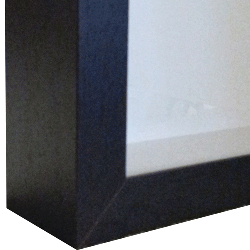 Use free standing or wall mounted. Box Frames are perfect for framing 3 dimensional items. These can include items such as small models and items with 3D depth for display. 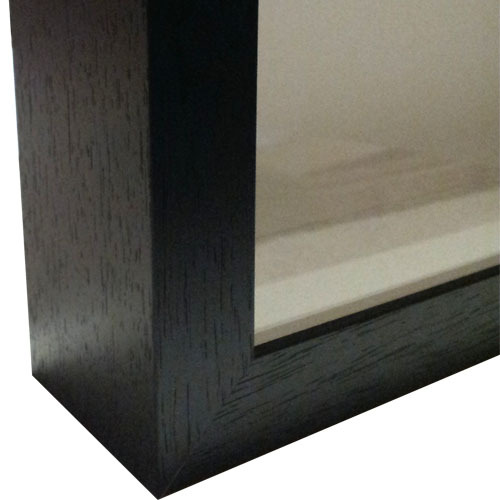 This deep box frame is a high quality item, available in three finishes (black, white, brown) with a depth of 60mm (approx 2.3 inches), enabling a generous depth for displaying. These frames can be mounted either free standing or on wall, and for the rectangular choices orientation can be either landscape or portrait.